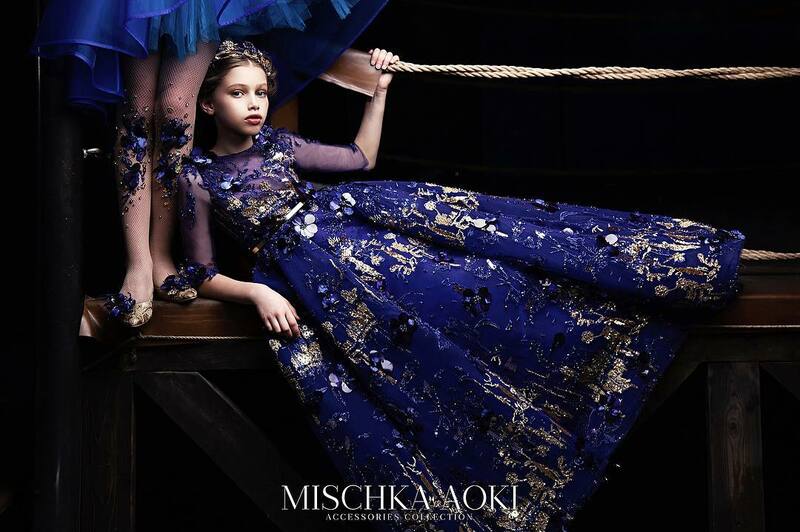 Having launched his eclectic childrenswear line in 2007, famous American designer Marc Jacobs brings the same playful and free-spirited edge that he’s become known for with his main collection. Inspired by the designer’s hometown of New York and with a cool, urban aesthetic, Little Marc Jacobs is the go-to for city kids who are confident, mischievous and like to stand out in the crowd. Little Marc Jacobs set themselves apart with their fun prints and bold use of colour, in their collection of playful and wearable designs for boys, girls and baby. 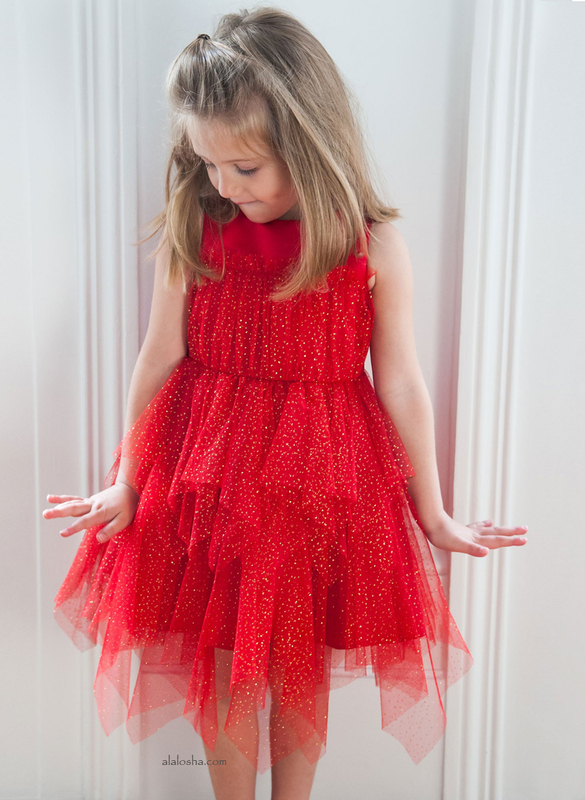 This grey-marl dress by New York brand Little Marc Jacobs has a fun print of Miss Marc surrounded by flowers and toadstools, with the designer's logo. 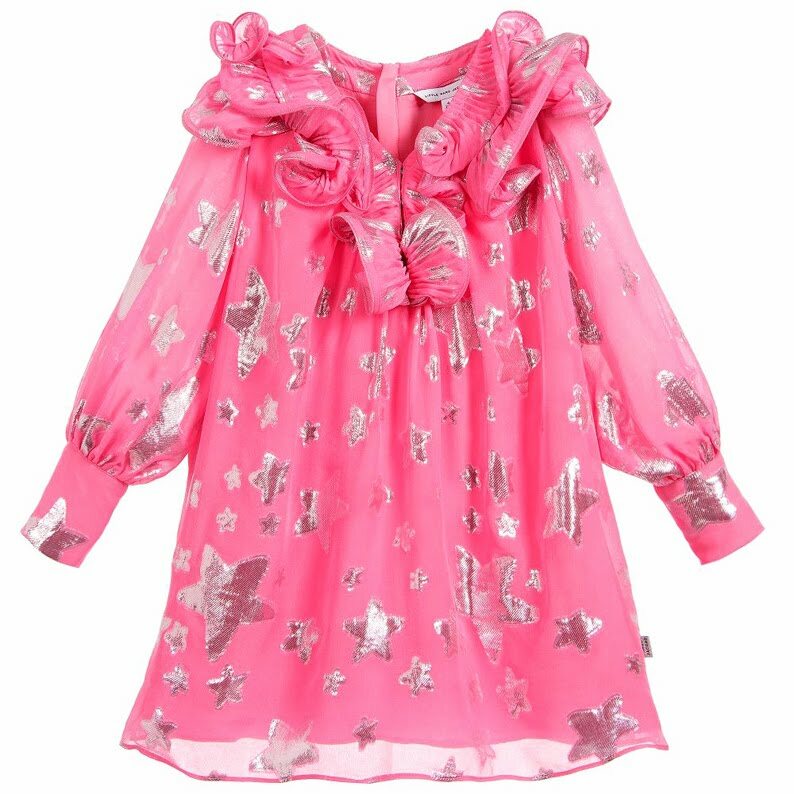 Just right for updating girls' casual wardrobes, it has elasticated, rainbow-coloured trims on the sleeves and is made of a super soft cotton and modal blend jersey, so is both stretchy and comfortable. 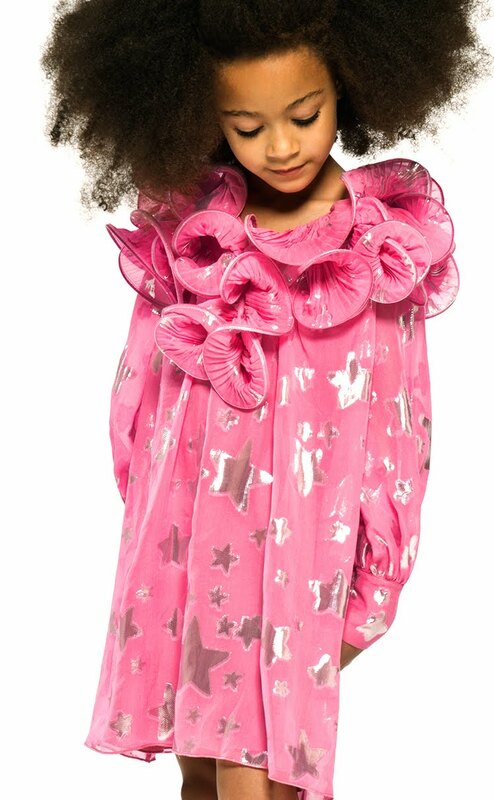 This gorgeous pink dress by Little Marc Jacobs is made in a luxurious silk with a shimmery silver star jacquard. It has layers of curled fabric around the neck, and there are large silver buttons on the cuffs.